One of the important factors in the success of Arthurdale, was to be the creation of employment for homesteaders in a factory that would be built. 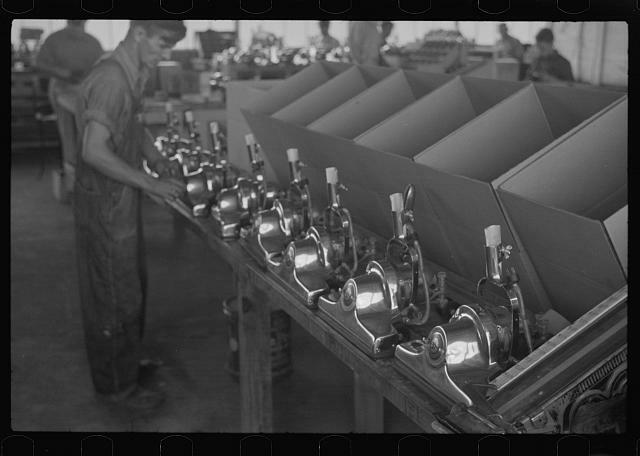 As early as October 1933, the administration began looking at options for the factory and eventually built a factory in 1935. In January 1936, the Arthurdale Association purchased the factory building to house a vacuum cleaner factory. The 1930s proved difficult for business retention in the factory at Arthurdale. From 1936 to 1942, four different businesses operated in the Arthurdale factory buildings including the Electric Vacuum Cleaner Company (1936-1937), the Phillip-Jones Shirt Company (1937-1938), the American Cooperatives, Inc. tractor factory (1939-1940), and the Brunswick Radio and Television Company (1941-1942). 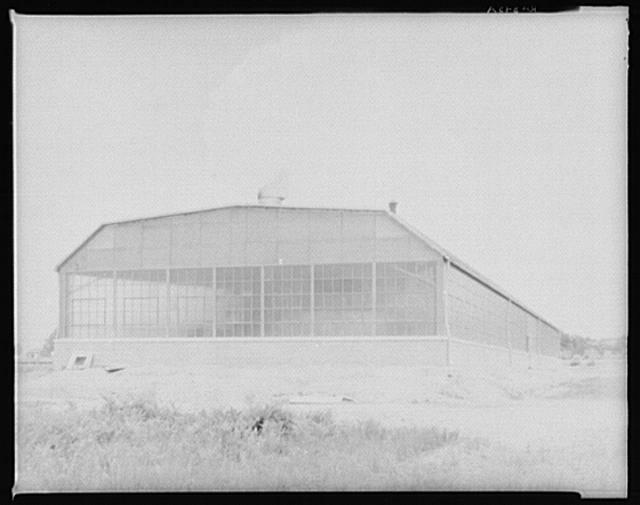 During World War II, Silman Manufacturing and Ballard Aircraft Company provided employment for homesteaders in their respective war-related factories. Both companies closed at the end of the war. Vacuum cleaner factory, Arthurdale, West Virginia, Ben Shahn, 1937, Library of Congress, FSA-OWI Collection.